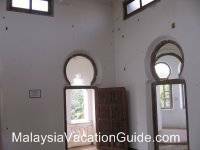 Drop by Kellie's Castle and spend two to three hours here if you are visiting Ipoh or on your way to Cameron Highlands. This uncompleted huge mansion is located in the town of Batu Gajah and is about 25 minutes drive away from Ipoh, the capital city of Perak. The ruin of the mansion as can be seen by the road to Batu Gajah. 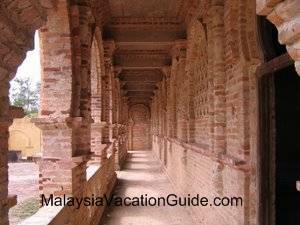 A closer view of the corridor of Kellie's Castle. This mansion has a Moorish architecture with rooms designed for Kellie's son and daughter. A living hall, a place of worship, a flat rooftop to cater for parties and an elevator half completed. 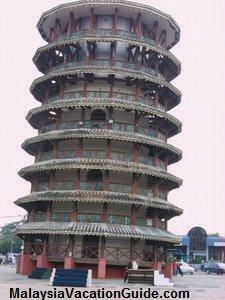 It was also discovered that there are secrets tunnels, one of which leads to the Hindu temple through the Kinta River. However, this tunnel has now been sealed for safety reason. 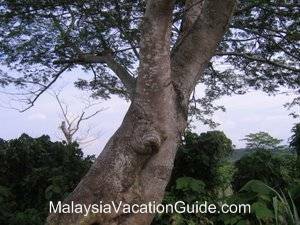 The latest discovery of this place is the tree that grows to resemble "a bear hugging a tree" at the compound of the castle. A "bear hugging a tree" that can be seen at the compound of the ruin. 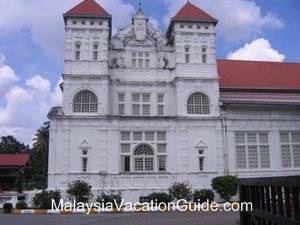 History told us that the construction of this mansion began in the year 1915 during the time of the British Occupation of Malaya. 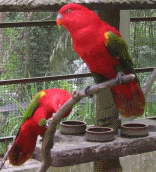 Malaya has since gained independance and is now known as Malaysia. 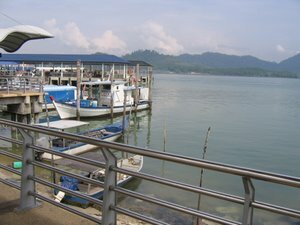 The owner, William Kellie Smith was a wealthy Scottish planter who made his fortune in Malaya by helping to construct public roads in South Perak. 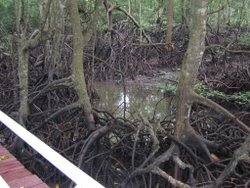 He then purchased 960 acres of jungle land in the district of Kinta and used it to plant rubber. Rubber was one of the commodity that was in great demand a that time. He diversified his agriculture venture by going into tin mining industry. 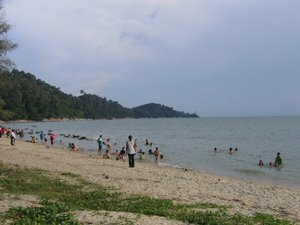 Hence he established himself as the owner of Kinta Kellas Estate and the Kinta Kellas Tin Dredging Company. He probably chose the name Kellas as he was born on March 1, 1870 in Easter Kellas, Scotland. As he prospered, he built his first house known as Kellas House in the estate in 1910 for his wife, Agnes Smith and their first child, Helen Agnes. This house and its ruin can still be seen today which is located just beside Kellie's Castle. What is left of the first house today is just the foundation and parts of the wall. A view of the surroundings from the top of the mansion. Notice the Kinta River and the main road from here. 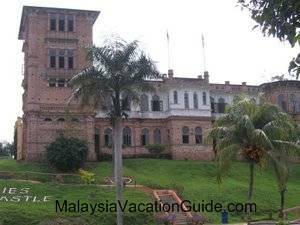 The second and bigger mansion, Kellie's Castle construction started after the birth of his son, Anthony in 1915. He hired 70 Indians from Madras, South India as skilled labourers for the construction of the mansion. Unfortunately, midway through the construction, a deadly "Spanish flu" struck and killed many of the workers. He was advised to built a Hindu temple in the vicinity to appease the gods. Work to build the mansion continued after that but as he went home to United Kingdom in 1926, he died of pneumonia in Lisbon, Portugal at the age of 56. His wife then sold this place to a British company called Harrisons and Crosfield and return to Scotland for good. The castle opens daily from 9:00am to 6:00pm. If you are here, get a briefing from the person in charge at the ticketing booth. There are some documentation pasted on the notice board. 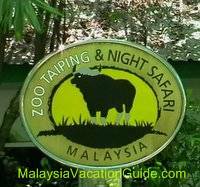 If you are coming for Kuala Lumpur, head for PLUS North South Expressway and exit the Gopeng Toll Plaza. 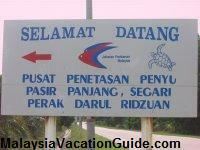 From here, take a right turn towards Gopeng town. 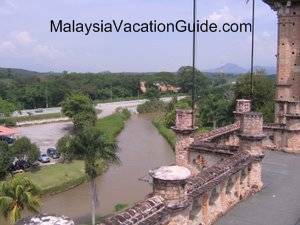 After passing Gopeng town, you will see a sign that directs you to turn left towards Kellie's Castle. Keep going along this this Gopeng-Batu Gajah road and you will see the mansion to your left. 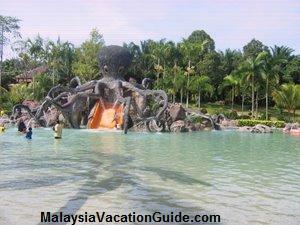 Clear Water Sanctuary Golf Resort is also located within the vicinity of this place. 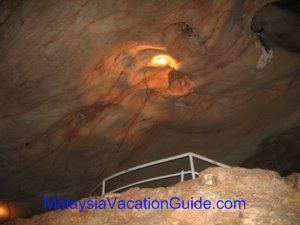 Within the vicinity of the castle is Gua Tempurung or Tempurung Cave, the biggest limestone cave in Peninsular Malaysia. 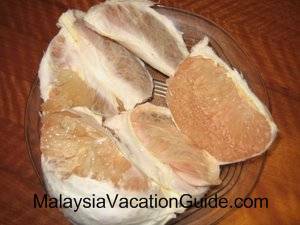 Head for Sam Poh Tong cave along Jalan Gopeng and try the famous Tambun Pomelo, from the same citrus fruit family as the grapefruit.